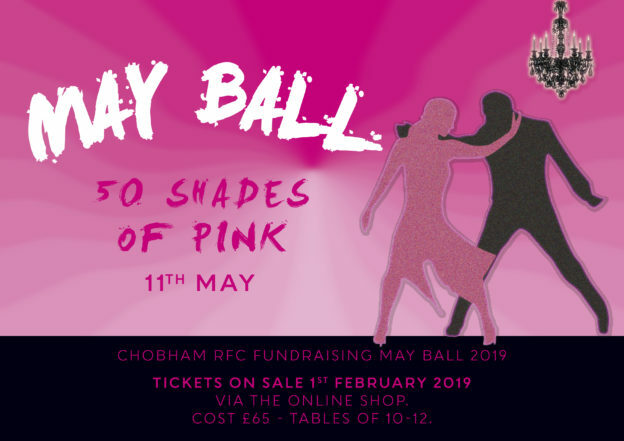 The fundraising ‘50 shades of Pink’ May Ball Tables will go on sale on Friday 1st February 2019 via the online Chobham shop. We have had an overwhelming interest again this year and to minimise the admin, PayPal costs and confusion of individual payments, we would like table leaders to collect payments and purchase your table through the club online shop. Minimum tables of 10 (max 12).